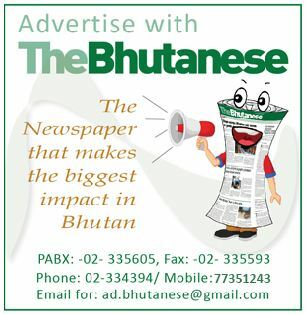 Lyonchhen interacted with the people who have difficulties finding accommodation in Phuentsholing. 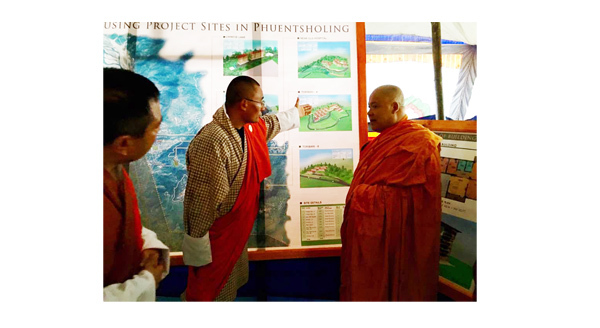 Speaking to over 1000 people residing in the border town of Jaigaon , Lyonchhen informed them that the government will soon start building 72 buildings with 500 units in Phuentsholing. The ground breaking ceremony was held earlier in the day on 19th July. Lyonchhen expressed his gratitude for the overwhelming attendance and said that while it is going to take some time to solve the problem completely the government will try its best in providing affordable housing facilities in the country. 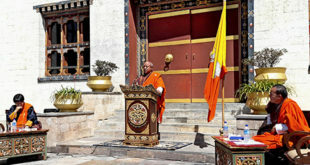 Lyonchhen highlighted the concerns of His Majesty the King on the increasing Bhutanese residing across the border due to lack of affordable housing facilities within the locality. 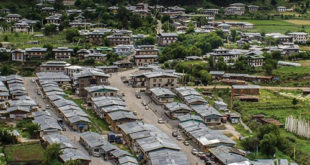 Lyonchhen suggested that the residents across the border maintain some proper record with the Dungkhag Administration to help the Government attend to them in times of need. Lyonchhen also urged them to be thankful to the government of India and the people of Jaigaon and to respect and abide by the laws of the locality they live in. Finance Minister, Land Commission Secretary, Dzongda, Thrompon and the NHDCL Managing Director also shared some relevant and important information with the gathering. Lyonchhen is accompanied by Finance Minister Namgay Dorji and Home & Cultural Affairs Minister Dawa Gyeltshen.